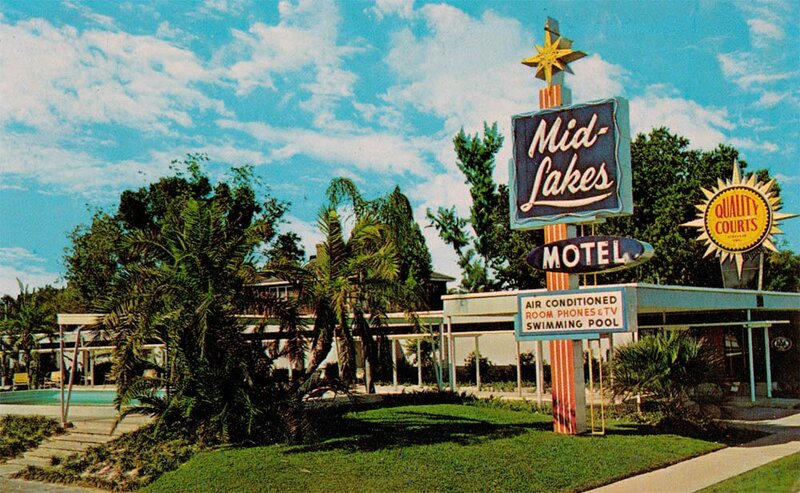 Do you remember when, years ago, the signs outside most motels advertised free TV, air conditioning, and a swimming pool? Well, someone took that sign seriously on January 6, 1961. That’s when a man reserved ten rooms at the Holiday Inn Motel in Jackson, Michigan under the name of a well-known local company. Today we take for granted that we can keep people alive via artificial respiration. But that wasn’t always the case. Back in April of 1927, newspapers across the country reported on the progress of 18-year old Walter L. Boothe, who was being cared for in a hospital in Roanoke Virginia. Walter had become injured in a car accident on May 29, 1926. He recovered from his injuries and went back to work, only to fall ill months later. 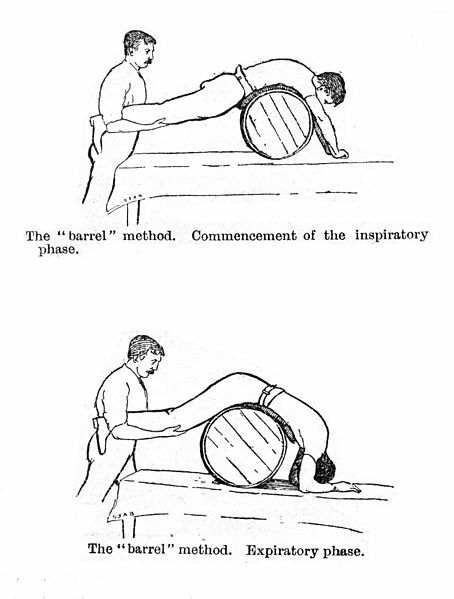 This image is labeled “Artificial respiration by rolling a man prone on a barrel.” It is part of the Wikimedia Commons collection. Partial paralysis soon set in and doctors determined that a fractured and dislocated vertebrae near the base of his skull was the cause. 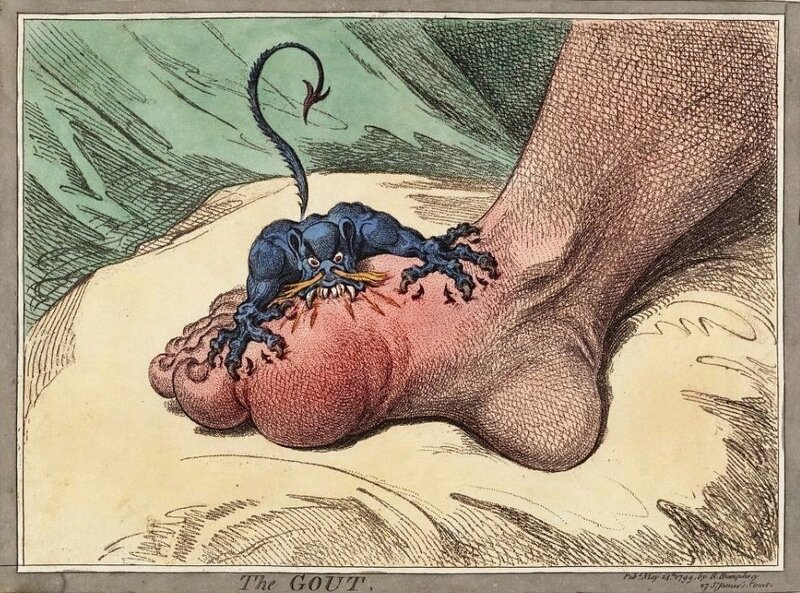 He failed to improve, so six weeks later it was decided that surgery was his only option. It was during that procedure that his lungs collapsed and he could no longer breathe on his own. With no machine to keep Walter alive, his friends were called into action. Two-by-two, working in a 30-minute shifts, friends stood on either side of him pumping his arms up and down. Crazy as this may seem, it did keep him alive. Friends continue this day-after-day, 24 hours a day, with the hope that he would improve. Sadly, he continued to weaken and on May 7th, 378 hours (nearly 16 days) after the up-and-down pumping of his arms had started, Walter took his last breath. 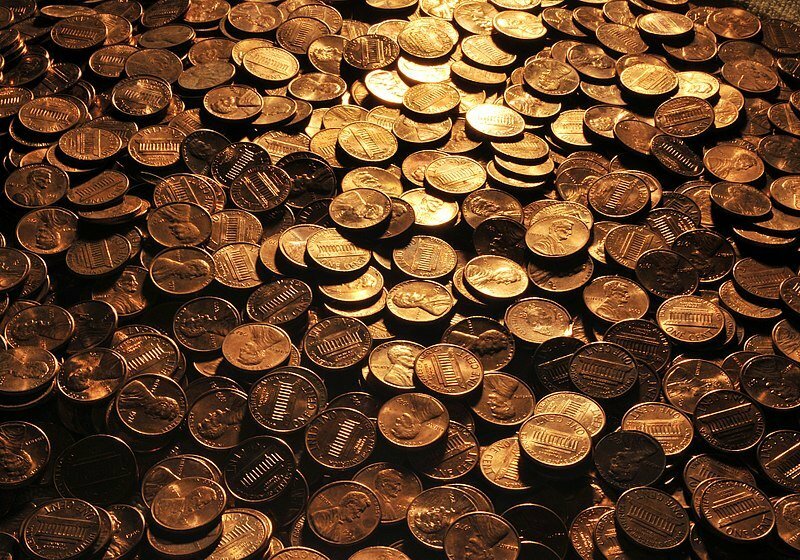 Long before The Amityville Horror made the village famous, The New York Times reported on February 9, 1903 that its citizens were hoarding pennies. This probably doesn’t come as much of a shock to you since people have been hoarding pennies for many years now. What’s odd about this story is that they were only hoarding shiny 1902 pennies and nothing else. Could brand new 1902 pennies really contain gold? 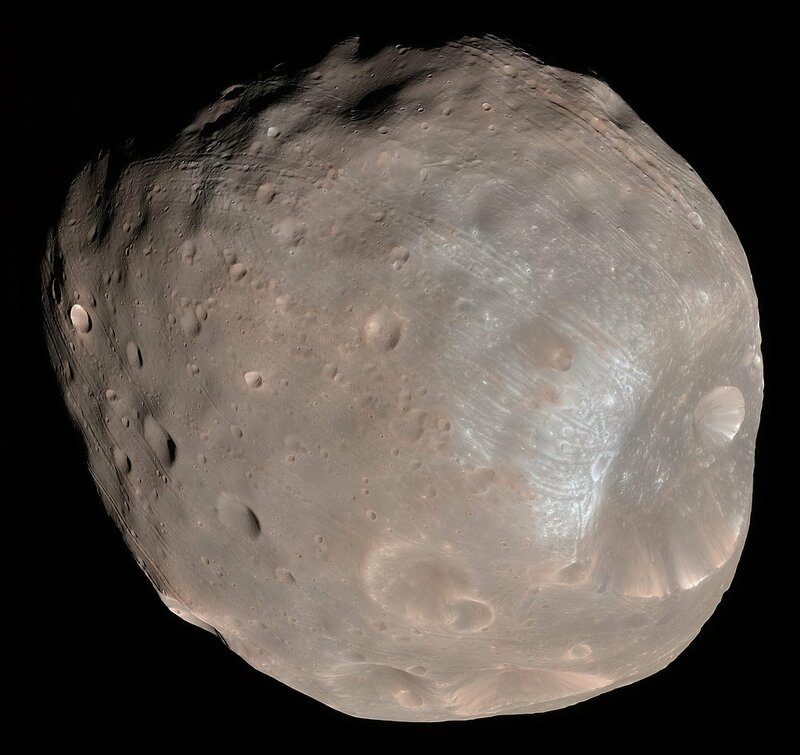 Image from the Wikimedia Commons. Next thing you know, a story started to spread to the coins were so shiny because a careless smelter had accidentally dropped a bar of gold into the molten copper. Suddenly, people were checking every penny they were given and keeping the shiny 1902 model to cash in for the gold. And analysis made by the public schools chemistry class confirmed what you probably knew all along: the pennies contain no gold. Every penny was still worth one penny. When Frank Ulrich opened the first successful self-service gasoline station in Los Angeles back in 1947, he probably couldn’t imagine the uproar that it would cause. By eliminating the high cost of paying attendants to fill your tank, he was able to pass the savings on to his customers. His slogan was “Save five cents, serve yourself. 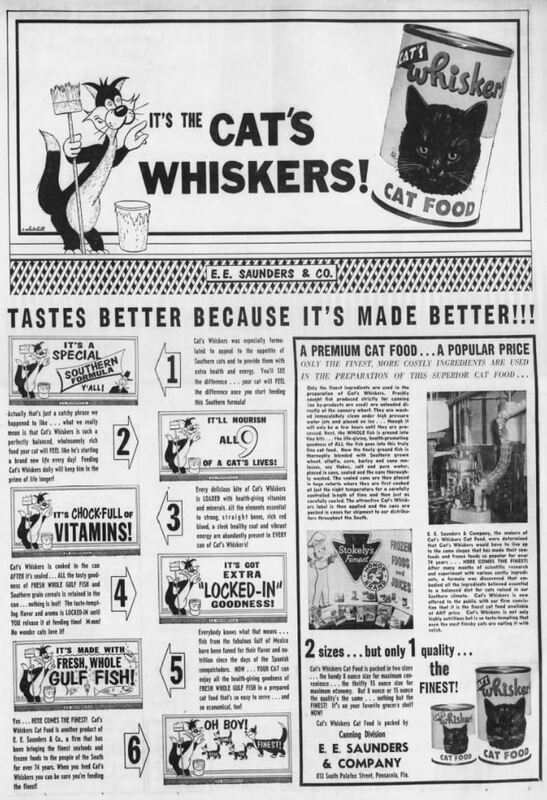 Why pay more?” With a gallon of gas costing less than 20-cents in 1947, saving a nickel was a big deal. Word of his success began to spread across the country and soon others began to copy Ulrich’s model. One of these men was Irving Reingold. He opened a 24-pump self-service station on Route 17 in Hackensack, New Jersey. Everyone else was selling gas at an agreed upon 21.8-cents per gallon, while Reingold was able to undercut them at 18.9-cents. Soon cars were lining up for cheaper gas, but the other dealers were very unhappy with the competition. Using the pretext of fire safety, the New Jersey Gasoline Retailers Association convinced the state legislature to ban self-service gasoline stations, a law that is still on the books today. 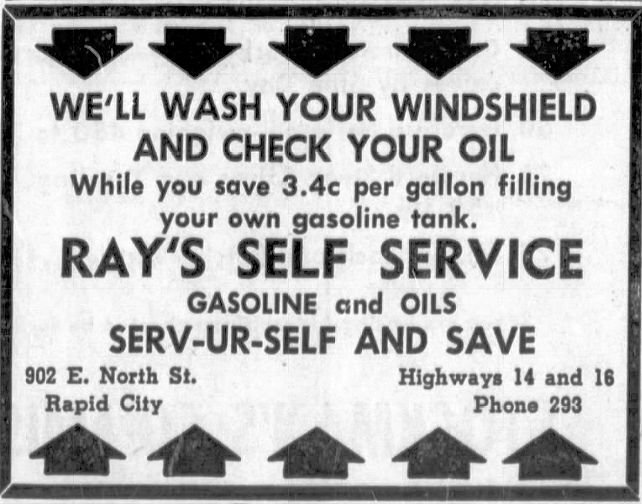 Ad for Ray's Self Service Gasoline in Rapid City, SD that appeared on page 11 of the May 5, 1950 issue of the Rapid City Journal. 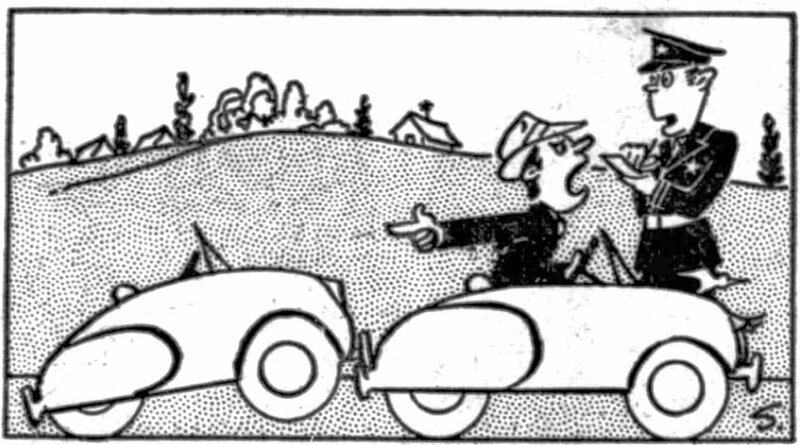 A July 3, 1948 story in Connecticut’s Sunday Herald interviewed Bridgeport gasoline dealers and all were in agreement that self-service gasoline was probably never going to happen in their state. I did a quick check on Google Maps for the locations of these three dealers. Today only one is still a gas station and it is – you guessed it – self service. 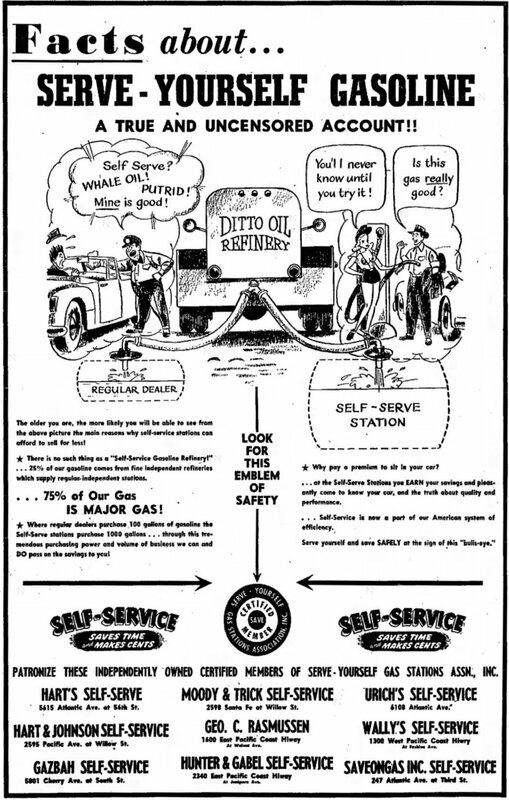 Advertisement for Self-Service Gasoline that appeared on page 15 of the August 27, 1950 publication of the Long Beach Independent. On October 18, 1922 Mrs. Rose Simon, who lived at 354 East 53rd Street in Chicago gave was a passenger in the backseat of a Yellow cab when she gave birth to a daughter. Both were taken to University Hospital and were reported to be in excellent health. Giving birth to a baby in the back of a cab has certainly happened before, so just what makes this story unique? Very simple: Eight years earlier, on October 3, 1914, Rose was a passenger in another cab while on her way to St. Luke’s Hospital when she suddenly went into labor. That time she gave birth to a baby boy. 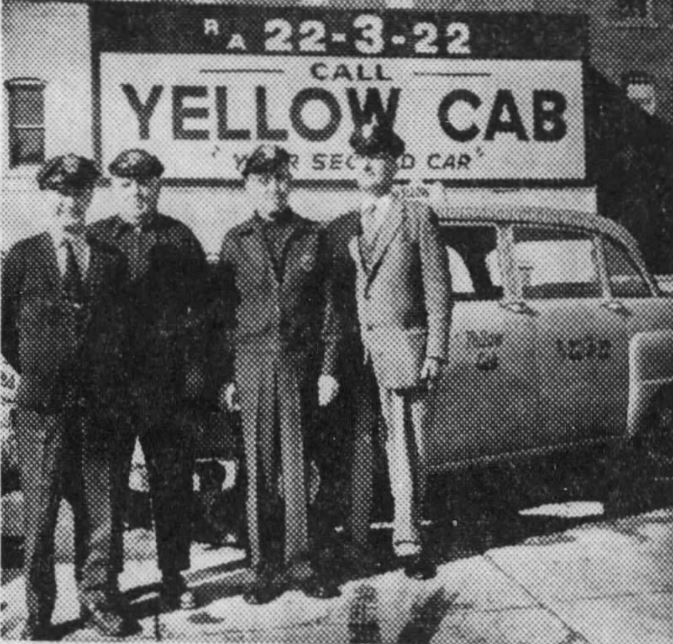 Photo of Yellow Cab drivers that appeared on page 12 of the February 17, 1964 publication of the Press Sun and Bulletin in Binghamton, NY. 27-year-old South Korean Chung Nam Kim may have been one of the luckiest guys ever. He had been working aboard the Liberian Federal Nagara as a deckhand and painter. At some point between 2 and 3 AM on Friday August 22, 1969, Kim found himself suffering from a bad headache and decided that it would be best to go up on deck and grab some fresh air. Suddenly, his foot slipped and Kim fell into the Pacific Ocean. No one witnessed his plunge, so he was as good as dead. Kim started swimming for land, but it was obvious that there was no way that he could ever make it. Just at the point when he was about to give up, he spotted something in the water. He threw his arm around the turtle and paddled slowly with the other arm. After about two hours of swimming with the turtle, he spotted what looked like a ship. It was the Swedish freighter Citadel, which was 113 miles (182 km) from the Nicaraguan coast at the time. He started waving his arms frantically to get their attention. At 4:45 PM that Friday, the crew of the Citadel spotted a man with his arm around a large turtle and pulled him out of the water. Kim was taken aboard and almost immediately passed out from exhaustion. Could this be a whale of a fish story? Most likely not. Both the captain and the crew of the Citadel said that they had seen Kim clinging to the turtle. One crew member even managed to snap a few photographs of the rescue. 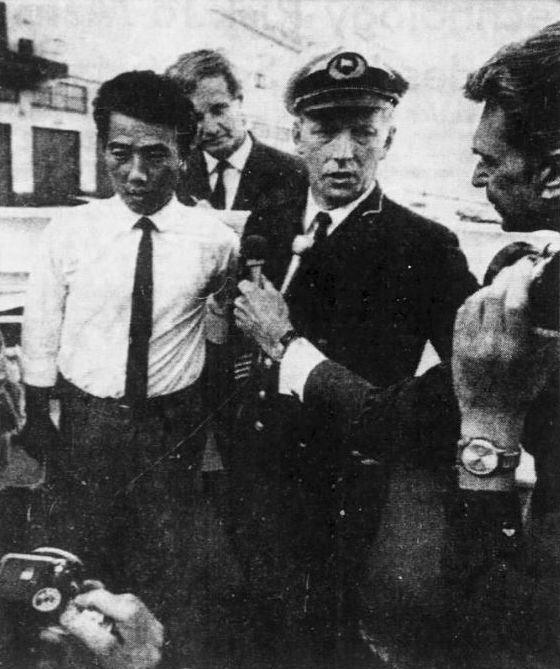 Turtle rider Chung Nam Kim and Captain Horst Wedder (center) tell their story to a news reporter. 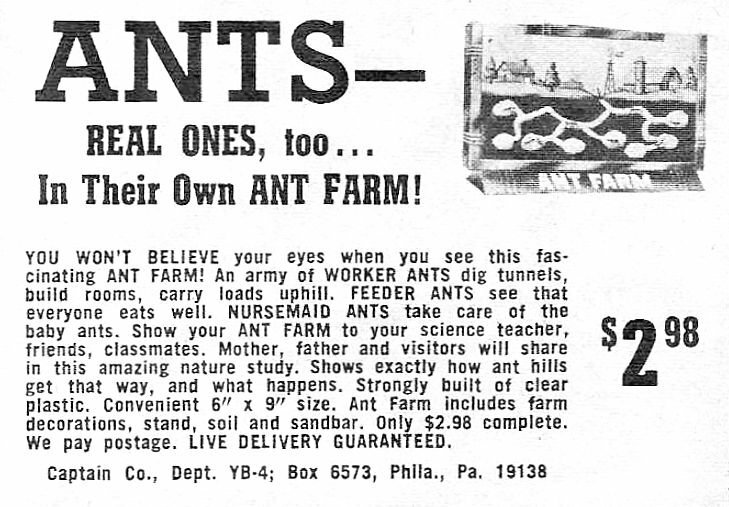 Image appeared on page 23 of the August 31, 1969 issue of the Statesman Journal. 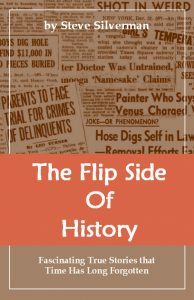 History was made on February 18, 1930 when a tri-motored Ford airplane flew as part of the exhibitions at the International Aircraft Exposition in St. Louis. That’s because this plane was transporting cargo that required extra special care. So special, in fact, that a portion of the plane had to be reconstructed to handle this cargo. And it was big. And heavy. And alive. It was a 1000 lb. (453-kg) Guernsey cow named Elm Farm Ollie, who was owned by Sunnymede Farms in Bismarck, North Dakota. Valued at $2,000 (nearly $30,000 today), Ollie has the honor of being the first cow ever to fly in an airplane. 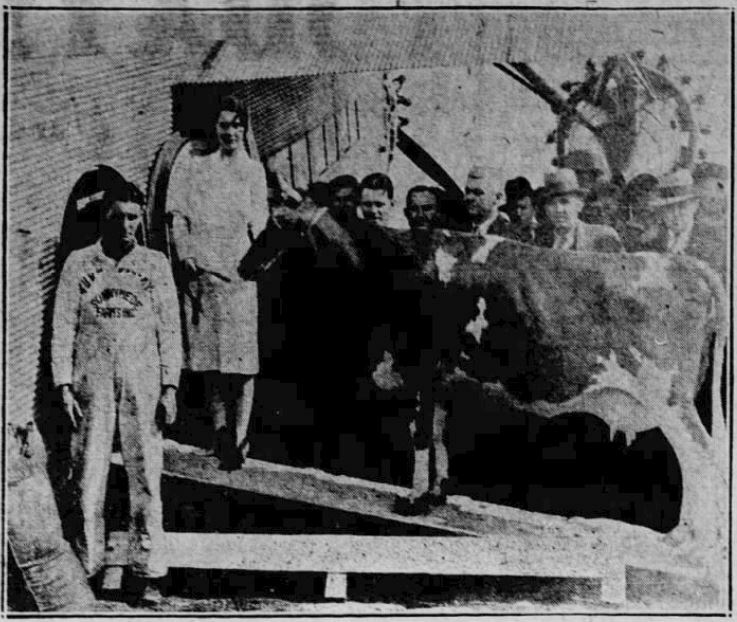 Not only was she the first cow ever to fly, Ollie also became the first cow ever to be milked during a flight. Along for the flight were four reporters, a newsreel cameraman, a radio announcer, and two attendants to care and milk for Ollie. And just why would anyone place a cow on an airplane in the first place? Basically to demonstrate that prize cattle can be transported from one place to another by air. As the plane descended, 25 half-pint paper containers of milk were parachuted down to the crowd that was watching from below. One quart was set aside to be presented to Charles Lindbergh, who was scheduled to arrive at the show a day or two later. Image of Sunnymede Ollie from the March 4, 1930 issue of the Altoona Tribune on page 3.